Manufacturers vs tape, the short life of the McWhopper, Sorrell's grey swans. 1. 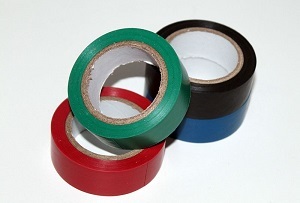 Manufacturers dislike all colours of tape. 2. You can't eat a McWhopper. 3. Martin Sorrell is still seeing grey swans. 4. Female managers aren't working for free. 5. There's a reason you look like your boss. 6. Google is getting into video game streaming. 7. Jeremy Corbyn is considering a 'right to buy' for private tenants. 9. Silicon roundabout is less diverse than the FTSE 100. 10. Jeremy Clarkson is getting a 1000% pay rise.